2009 BMW 328i -- Premium Package and Cold Weather Package. Moonroof, Heated Seats, All Power Options. BEST DEAL around!! BEST DEAL around!! LOW MILES !! 2009 BMW 328i with Premium Package and Cold Weather Package. Loaded: Moonroof, Satellite Radio, Power Seats, Power windows, Heated Seats, BlueTooth, Alloys, etc. Priced thousands $$ below KBB value!! Clean title, clean Carfax & Autocheck History Reports, no accidents. This BMW runs super smooth, transmission shiftss perfect and AC is cold. Interior is extra clean, no rips or damages. Minor exterior imperfections are visible. Non smokers car. Everything works perfect; all the lights, gauges, windows, locks, A/C, etc. There are no issues with the car at all. This car is 100% ready for a new lucky owner! Comes with all manuals, tools and original mats. All inspections are welcome. Please call (561)-889-2933. NO dealer's fee. Cash Price. We do not offer in-house financing but credit union & other financing institution's checks are accepted. Trades are welcome. 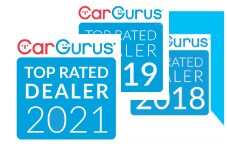 Every single car sold by us is being inspected by our mechanic prior to being offered for sale and fully detailed.